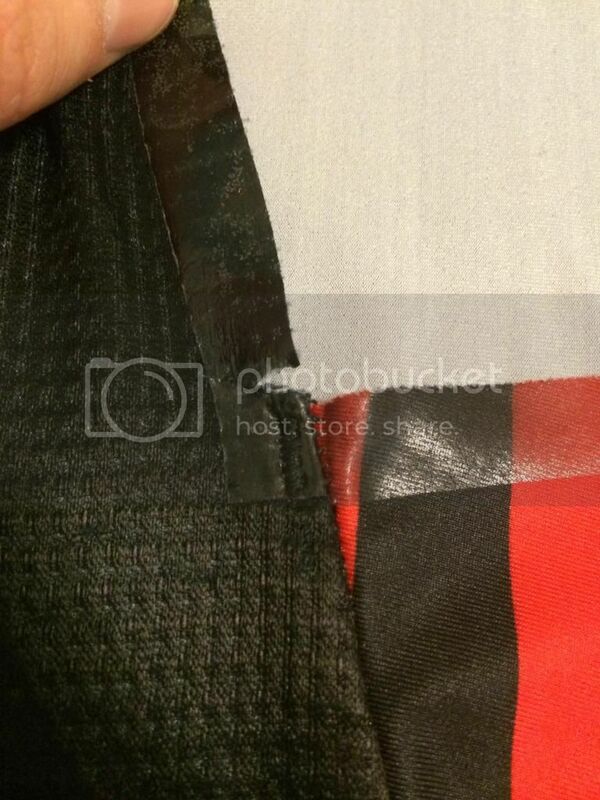 Bought a 2011 Tape cut singlet off him via Ebay. I received it Super fast from Russia to the USA. There was a small rip that was not mentioned in the listing. Partly my fault that I did not confirm the condition, but that would be something personally I would disclose. However, its not that big of a deal, it is an easy fix with some thread and a needle so I am still happy with the purchase, I have been hunting this singlet for 3 years now, feels good to get it finally. 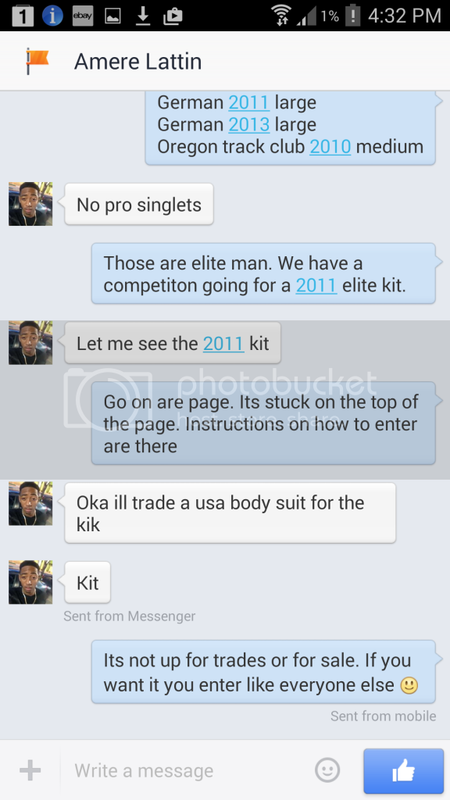 His name is Amere Lattin from the USA, and he emailed me asking to trade my USA singlet for an Oregon Jacket he had so I agreed. He posted and gave me a tracking number and I did the same. Turns out the tracking number he gave me was a fake and he ripped me off as he received my item and he keeps telling me he has posted it and he will try again…all lies. It’s really strange though as we are facebook friends but he isn’t an honest person, reads my comments but never says anything. Looks like this guy’s at it again ! Messaged me not really showing interest in anything in paticular and only wanting to do trades. A quick look at his facebook and a google of his name it’s apparent that he is actually a Hurdler for the US youth olympic team, you would’nt expect this from someone who is lucky enough to get handed top gear ! +++Twist. Great communication and quick transaction! Has anyone bought from “donald” before? Please respond asap, it’s not that I don’t trust him (or her) but I just want to be sure. Let me know, thanks in advance guys! Very professional, fast shipping w/ tracking code, item in condition described. Would always recommend to others. Anyone ever bought anything from a guy called john thuo from kenya ? I believe he is an elite marathon runner. Donald was a great seller, communicated well and sent my package quickly. Would buy from again. Has anybody bought spikes from startfitness.co.uk? I’m thinking of buying some R3s from there but I’m not sure if I can trust them. They’re great - bought some OG matumbo’s in my size (praise Jesus) from them just a few months ago. Showed up here in Colorado faster than I expected, too. Very trustworthy. I order from them a couple times each year. Never had a problem. Awesome! Thanks for that, they seem to have heaps of good old stock, and who doesn’t love that? Dudes, what’s the scoop on runner212324? lukefrancis 95: Can someone give me references about this person? Im guessing you saw his list of items for sale.